The Knitting Pirate » In Which the Pirate Goes to Washington DC. « In Which the Pirate Upgrades the Sonata. In Which the Pirate Goes to Washington DC. 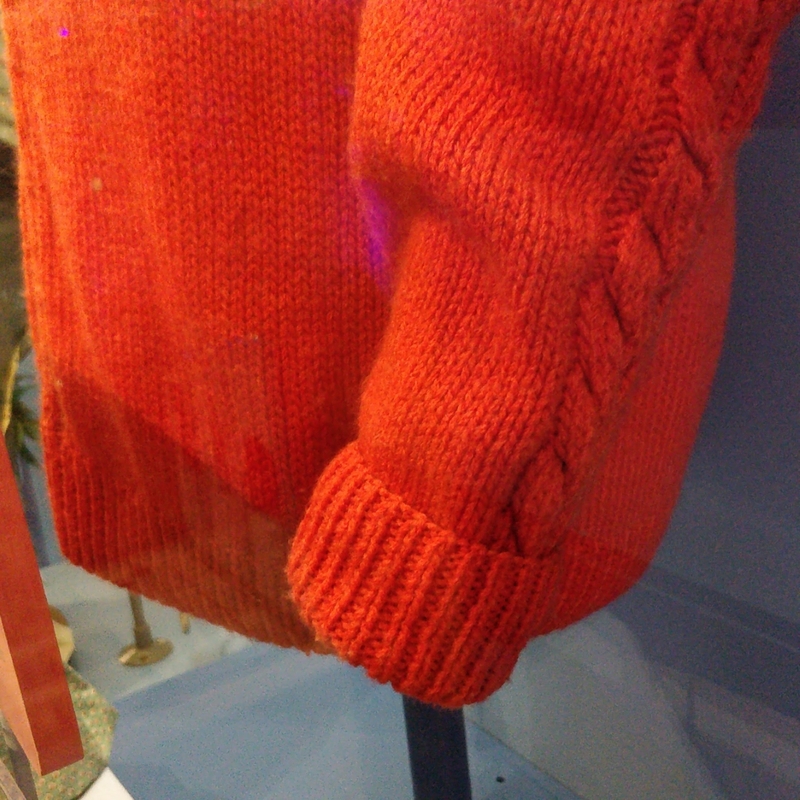 This sweater has set-in sleeves with a cable down the side, though some of the others he wore on the show had raglan sleeves with ribbing. Some of them had pockets, too, unlike this one. Some things I noticed and found interesting: First, it was a bigger gauge than I was expecting, and the zipper pull is relatively large. I wonder if that's for ease of grabbing while on camera! 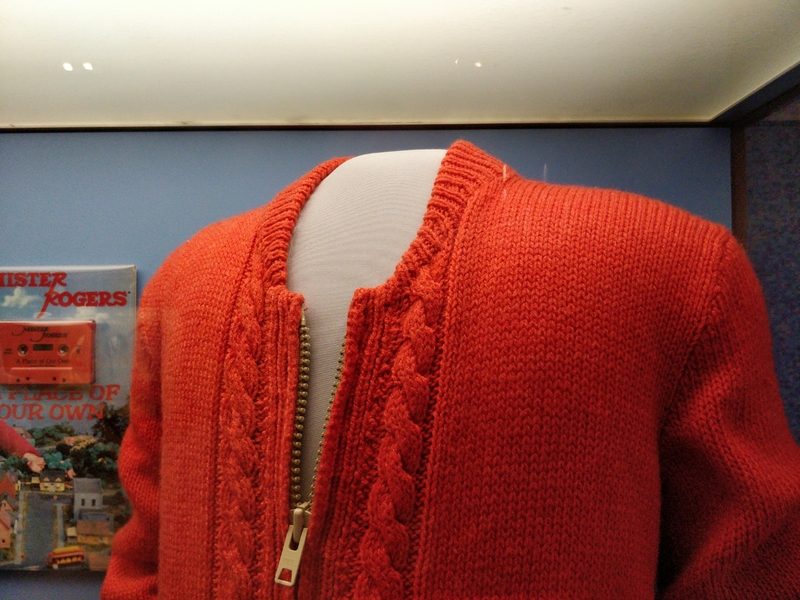 The cables turn the same way on both sides of the sweater, which really surprised me... and one of them seems to have a slight mis-cable in it, which just goes to show that nobody's knitting is perfect. 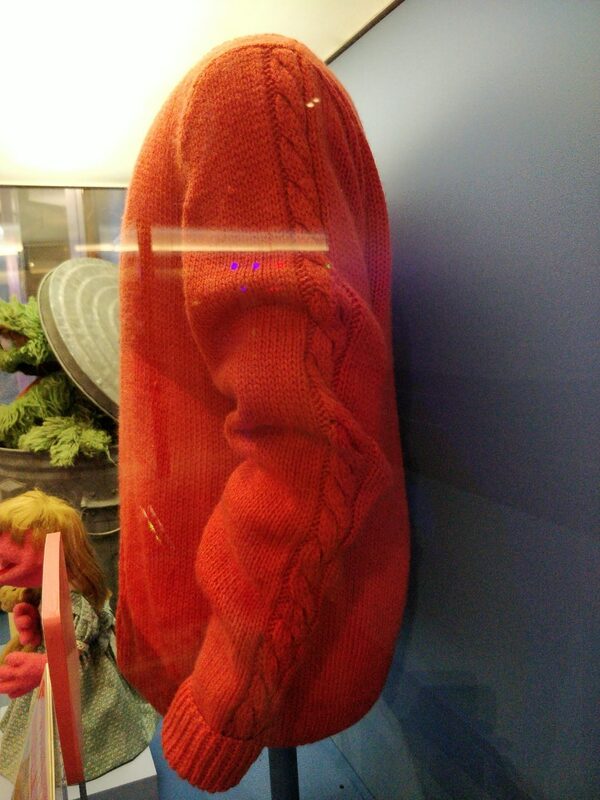 Even Mr. Rogers's mom's knitting. 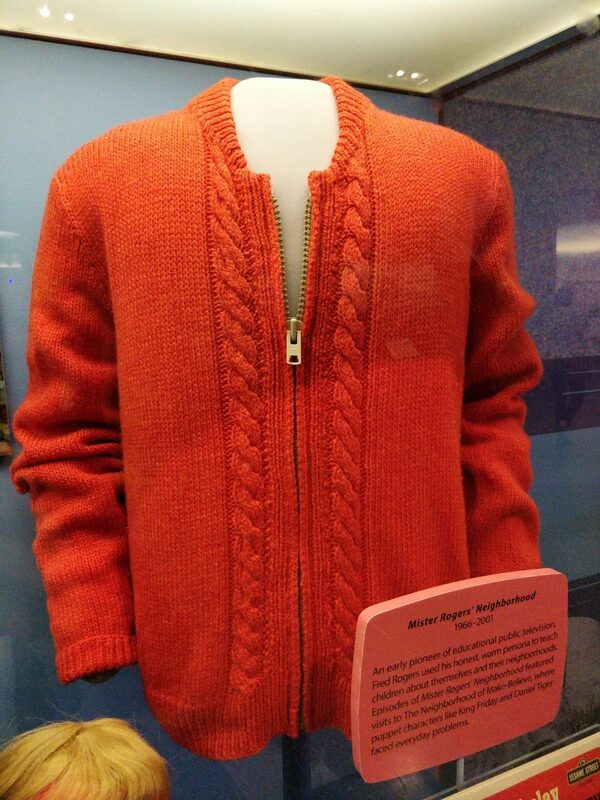 This entry was posted on Friday, April 13th, 2018 at 18:10 and is filed under meta-knitting, sweater. You can follow any responses to this entry through the RSS 2.0 feed. Both comments and pings are currently closed. Thanks for posting these fantastic close-ups! I'm surprised it doesn't look at all worn or pilled. Could you tell if the yarn was wool or acrylic?